This steel core bracket is two pieces that secure to a post and allow the 5" rail to slide back and forth to absorb impact. This steel core bracket comes in two pieces which are screwed to the post sandwiching the 5" rail but allowing it to slide back and forth between the front and back brackets dispersing energy from impacts. 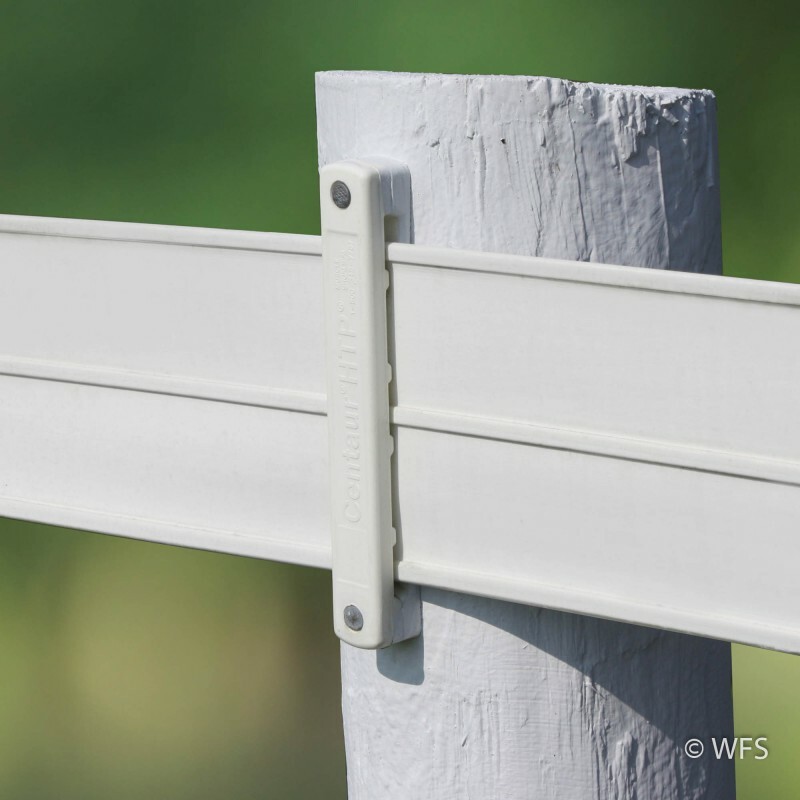 Because these brackets have the HTP® polymer coating, they also work with the electric Hot Rail®. Available in white. Brown and black by special order only.